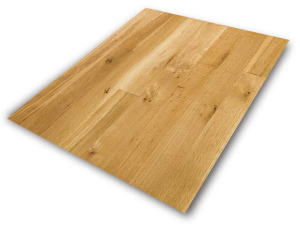 Comprised mainly of true forked-leaf White Oak (Quercus alba), Tennessee White Oak has been valued for generations in the export trade to Europe for its slow growth and relatively uniform color. Our White Oak flooring contains only small amounts of white sapwood and is composed mainly of a medium to dark brown heartwood. It grows more slowly than Red Oak, resulting in a comparatively muted Oak grain. Substantially harder and denser as well, it makes a floor of excellent durability. Rift White Oak flooring stains well, especially in brown tones. Please download our unfinished flooring retail catalogue for our most up-to-date pricing and grade descriptions. Select Rift & Quartered White Oak flooring is manufactured here from lumber that has been specifically quartersawn for the purpose– it is not pulled from a plainsawn run. For that reason it will always have a relatively high percentage of quartersawn pieces with figure– about 40% as an average in each shipment. 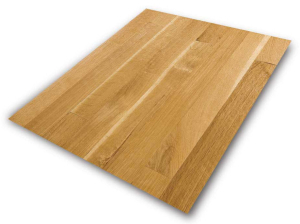 Rift & Quartered White Oak is both harder and more dimensionally stable than regular White Oak. The grade is mainly a brown heartwood with a small percentage of white or creamy sapwood running along one edge of the pieces. The occasional small brown streak or pin knot may also be present. The overall appearance is one of a relatively formal, classically European design. 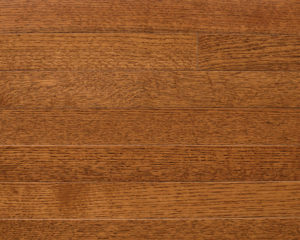 Select Rift & Quartered White Oak is available in both Natural and Antique Brown finishes. Character Rift & Quartered White Oak flooring contains the same relatively high percentage of figured quartersawn pieces as in Select flooring. This grade contains all the characteristics of NOFMA No. One and Two Common flooring– sound, tight knots up to 1″ in diameter, unlimited wormhole and birdpeck, and unlimited color variation. 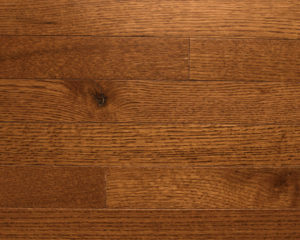 Character Rift & Quartered White Oak flooring is available in both Natural and Antique Brown finishes.